How he started: "So I designed the first collection in that bedroom. Long bias-cut skirts, jackets with rib sleeves. I remember letting them lie around to see if Michele would pick them up, then I'd know they were OK. I bought the fabric from a dealer in remnants, and leather five hides at a time, washed them and dyed them. Then drove them in trucks to stores myself." Michele is his wife and the story above took place sometime in the early 90s, when Rick and his wife were broke and living at Chateau Marmont. 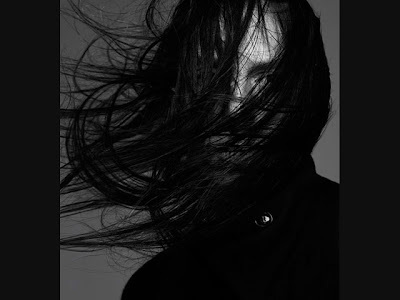 Ed Burstell, Liberty's buying director, recalls about Rick Owens: "I remember going to visit his studio in LA way back before he showed and saw he had all the dress-forms hanging from the ceiling so he could fit everything exactly. The clothes have zero hanger appeal, but on the body they become incredible. They flatter everybody." The explanation for this, as said by Owens is "to do old Hollywood glamour, but in a ripped-T-shirt way. Black-and-white movies, but done in leather and T-shirting. I always resented how high fashion was so unapproachable and not for everyday. I thought: if you're going to do it - live it. I washed everything kind of grey so you could wear a bias skirt with a train in the morning." Surely, now that he has been recognised as the talented designer that he is. And his empire is evergrowing. The lastest settlement? A large two-storey shop at 64 South Audley Street, one of the poshest addresses possible for any fashion store in London. Owens, in his typical laid-back manner, hasn't made any kind of a noise about opening, but has nonchalantly texted that he's coming over from Paris, where he and Michele live, to "dust the shelves". (The Guardian) Gee guys, let me do the dusting! Haha.